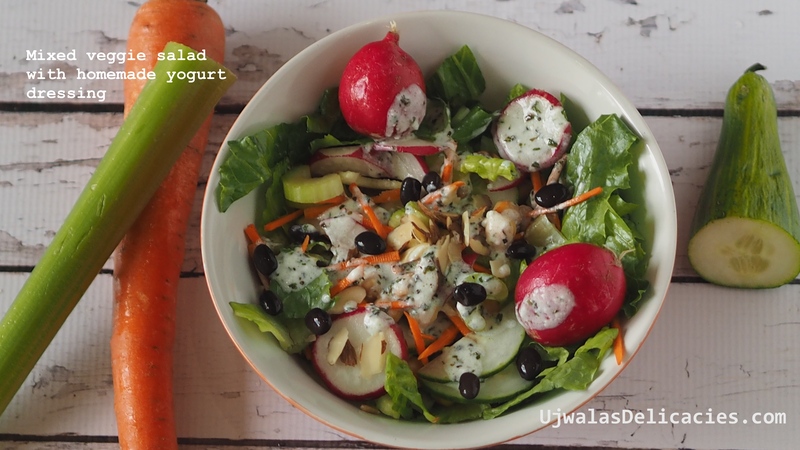 I make this salad right after I visit local market when all my greens and veggies are still fresh. 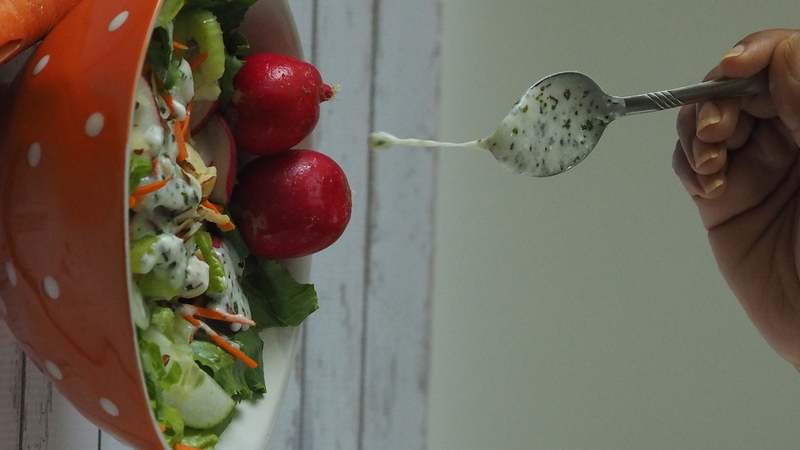 Toss fresh romaine lettuce and veggies with homemade yogurt dressing. All natural vibrant salad made by you. What a priceless experience of making a healthy, all natural dish ourselves!!! Make a trip to local market. Soak garbanzo beans for 6-8 hours. Cook in pressure cooker till 6 whistles. If you don't have pressure cooker, cook in a pan with closed lid till soft. Discard water. Mix dressing ingredients in a bowl and whisk. Toss salad ingredients in a mixing bowl.